Falasarna main beach is ideal for Surf activities. The sandy beach with waist high water is a perfect playground for the first steps in wave riding. When the wind is west, north west, there are waves from 0,5m to 2m high. The spot is a beach break with sandy seafloor and waist to shoulder high deep water. At the south side of Phalasarna, next to a small fish-boat harbor, you will enjoy some of the best freestyle conditions found in all Greece, with flat water and plenty of wind. On the left side there is a large free space for slalom and freeride conditions while on the right side there is another beach with a bump and jump onshore area for those who seek wavier conditions. When the location is exposed to the famous ‘meltemi’ north-east winds of the Aegean sea with off-shore winds blowing force 4 to force 6 and sometimes to force 7 beauforts. 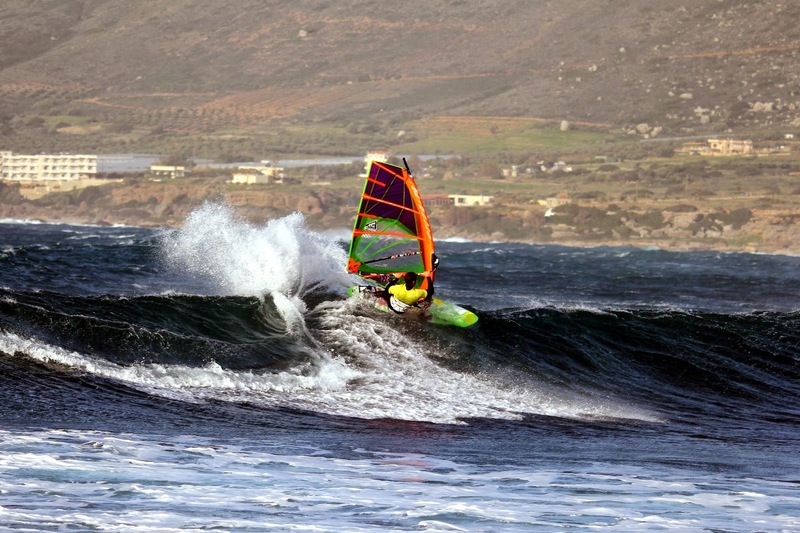 From May to October meltemi winds blow from the Aegean sea turning Crete into a windsurfing paradise. Speed addicts, freestylers, and beginners can enjoy the best conditions for them in different terrain. It is a friendly place for your non-surfing partners too as they can go to the main beach to relax, or have a delicious lunch in the traditional fish tavern in front of the beach. Right on the main beach of Falasarna you can find SURF ISLAND CLUB with a big range of windsurf, surfboards, sup, bodyboards for all levels and needs. You can also have lessons and surf trips around the area.